As the saying goes: All good things must come to an end, and with murmurs of a potential rate increase by the Fed this fall, many investors are preparing for the future by locking in long term low interest financing. According to Morningstar, it now estimates some $63.7 billion in performing CMBS loans will mature this year, down $3.5 billion from its estimate of $67.2 billion back in January. An increased level of refinancing is credited for the decline. Many of our clients come to us seeking to take advantage of today’s low interest rate environment by locking in very cheap long term financing, even if they may have a shorter investment horizon. While 10-year non-recourse debt in the high 3% range is enticing, there are many reasons to act with caution. The most obvious reason not to lock in 10 year+ financing if one is considering selling, or wants to leave the door open to do so, are the hefty prepayment penalties that can be incurred. Fannie Mae, Freddie Mac, CMBS, and many life company loans have a yield maintenance or defeasance structure which can easily add up to hundreds of thousands, or even millions of dollars depending on the loan size. 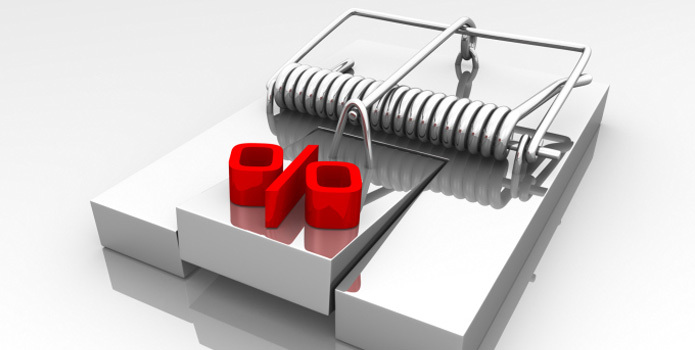 Future defeasance or yield maintenance fees are practically impossible to calculate because they are based upon what the interest rates are at the time of the sale. This can make it very difficult for a property owner to strategize for the future should their financial situation or time horizon change during the term of the loan. Since the aforementioned loans are often assumable, there is the belief that a below market interest rate tied to the property could be very attractive to a future buyer. While this could certainly be true, there is a strong possibility that the in-place financing could actually be a hindrance to the sale. First, the leverage at the time of sale may not be sufficient for a buyer to produce enough equity to close the deal. For example, if the loan-to-value at the time the financing was secured was at 75%, and after a few years the value of the property has increased to the extent where the current leverage is only 65% or less, this would demand a sizeable down payment that might be beyond the buyer’s capability. This problem can be solved by increasing the loan amount through supplemental financing. However, what many people do not realize is that when adding supplemental financing to an agency loan, the borrower is obligated to source it through the original HUD lender, Freddie Mac Seller/Servicer, or Fannie Mae DUS lender. Lenders often have minimum loan size requirements, and if the supplemental financing does not meet the minimum criteria, the lender may refuse to handle the supplemental financing, leaving the buyer with no choice but to find additional equity or walk away from the deal. This issue is especially prevalent on smaller loans. Furthermore, the new buyer may not qualify to assume the loan. In the case of agency financing, the general partner or managing member of the borrowing entity is typically required be a US citizen. With the amount of international investors currently seeking safety in the US, there is a realistic possibility that this issue could become material. Additionally, the new buyer may not meet the lender’s minimum net worth or liquidity requirements. Lastly, the buyer may not have enough of a track record in that particular property type or market to make the lender feel comfortable. All of these factors can greatly limit the potential buyer pool. In addition, the loan documents may limit the amount of leverage that can be added to the loan. An investor looking to acquire additional assets recently came to us with a large industrial portfolio that was cross-collateralized by a 10-year CMBS loan last fall. At the time the loan was securitized, proceeds equated to 60% LTV. The investor wanted to pull cash out from the portfolio to be applied towards new acquisitions, however, the covenants in the loan documents limit mezzanine financing to only 67% LTV. This will not produce enough cash for the investor’s new purchase opportunity and the large defeasance penalty prohibits him from refinancing. To complicate things further, most equity sources typically have a three to seven year time horizon and are not willing to commit to a 9.5 year investment. Another point to consider is that the in-place financing may not be in line with a future buyer’s investment goals. If there are several years left on the loan and the buyer is looking for a shorter term hold, lack of future assumability or a large prepayment could inhibit their ability to enact their investment strategy to meet their return objectives. Lastly, the longer the fixed rate term, the higher the interest rate. Why would an investor pay a premium now for the benefit of a potential buyer who may never materialize? For all of these reasons a commercial real estate investor should strive to obtain financing that is compatible with their current investment strategy and time horizon. If they are unsure if they would like to sell or hold in the future, they should secure financing that offers enough flexibility where they prepay the loan with little or no penalty and not depend on it having to be assumed by a theoretical buyer that may or may not exist.